DVNF Veterans Resource Fair is on November 8th The Disabled Veterans National Foundation (DVNF) (www.dvnf.org) will host a Veterans Day Resource Fair on November 8, 2018 for veterans in the DC Metro area. 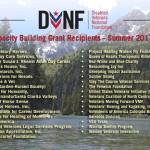 What: In honor of Veterans Day, DVNF will recognize the service and sacrifice of all veterans by giving back. This event will give veterans in the DC area an opportunity to receive services from local government and nonprofit organizations. DC, Maryland, and Virginia employment and education officials will be in attendance, as well as several organizations that offer a variety of services to veterans, from benefits information to recreational therapy, and more. 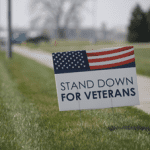 In addition to these useful resources, there will be free items being offered to veterans who attend, including: Free Suits – Brand new business attire, intended for job-seeking veterans, made possible by Joseph A.